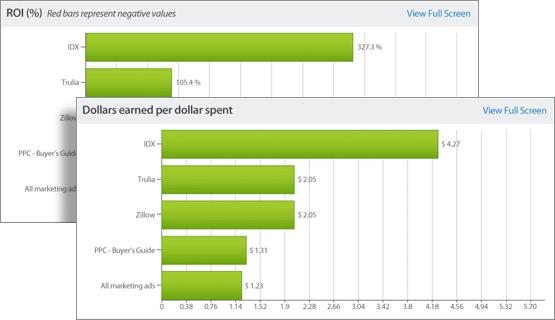 You’ll have every critical marketing stat you need with Pipeline ROI. 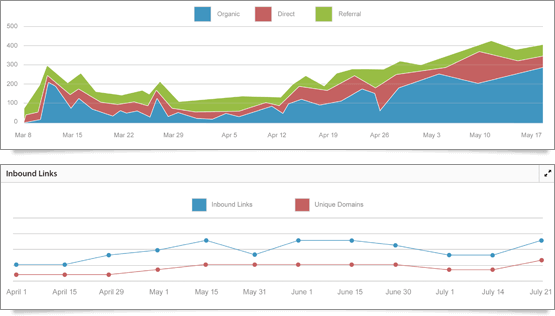 Monitor your web traffic, new and return visitors, inbound links, referring pages, keywords, and more. Then take advantage of our training resources to optimize your marketing to get even more leads. For brokers and team leaders, monitoring agent specific performance is critical. 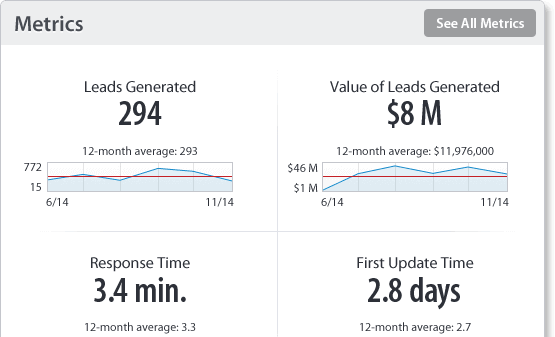 With the Pipeline ROI management dashboard, brokers and team leaders will have all the data they need to train and coach agents to their full potential. There’s no shortage of places to buy leads, but there are no other systems like Pipeline ROI that help you understand which leads are best. You’ll get an easy to understand snapshot of all your lead sources so you know where you should invest more and where you should cut. The dashboard comes with built-in social media tracking that keeps up with your Facebook and Twitter accounts. Quickly see your Tweets, followers, retweets, and mentions on Twitter, and your posts, clicks, comments, and likes on Facebook directly in the dashboard.